Those morph fill is only going to work for the grains? And you still need that voxel systems with terrain blocks for corn? 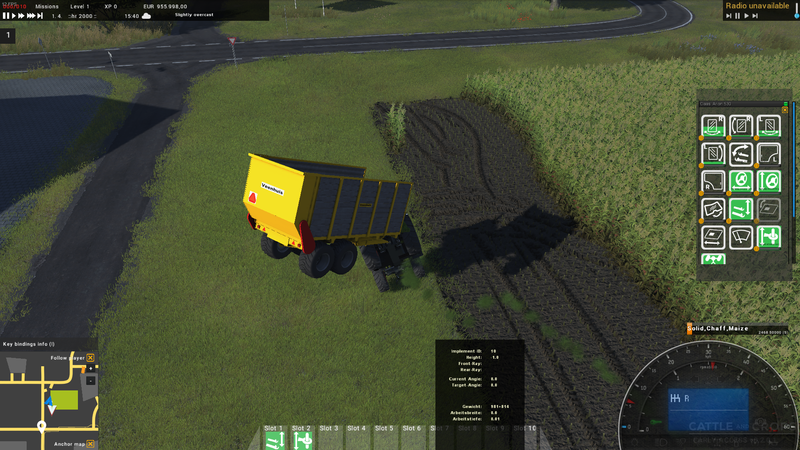 ATM i copied those terrain blocks from the HAWE, but theyre too large for my smaller silage trailer. Do you make them in Blender too? the two methods are valid with the scripts of each one, ie voxel changes the alpha from visible to invisible for each mesh but it occupies many more triangles and for now in the tests it does not look correct for grain and the morph is an animation similar to LS but with more control and it is more difficult to control the sum of the positions in the different keys. Ah ok, i didnt really like the filling of the voxel system. But, what scripts do you mean? I only found an unload script in the editor which i copied? Or is that the reason that my fillvolume doenst really work? Ok, I tried it with current script, and of course it doenst work. But i've the same problem i had with the terrainblocks/voxel system. My wagon start flying when im filling it. You maybe know the reason? (and my fillvolume is displayd uncorrectly but thats because of the wrong script/connectors i think). Second problem: my decals are not working on transparancy for some reason. The post was edited 3 times, last by 20mmNormandy ( Jun 7th 2018, 3:49pm ). the unload.wld that is in the zip you have to copy it to your tank but the fillMesh does not correspond since it is not correct in measurements once you have corrected the dae you export it and place it in the tank and select all the markers of the other fillMesh and drag them to the new asign properties and connect them to the scripts that the unload.wld has. Thank you for that explanation. Will try to get it working then I tottally forgot you included that unload.wld file. 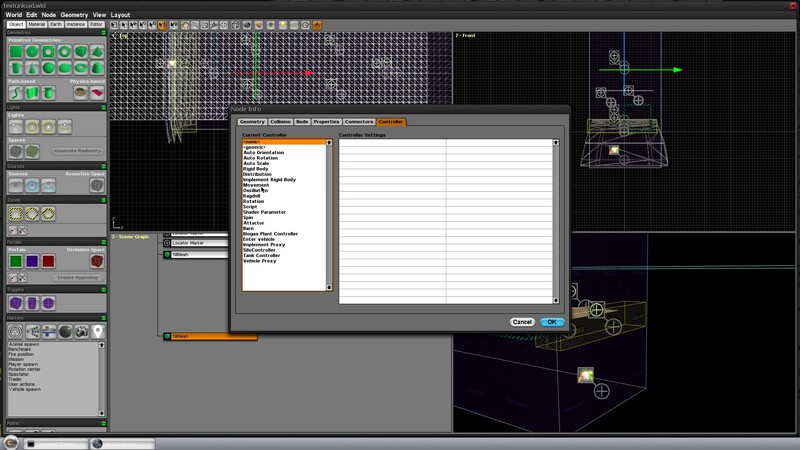 EDIT: Aaah dmn, i dont have the option Morph in my editor? The post was edited 3 times, last by 20mmNormandy ( Jun 9th 2018, 4:12pm ). I tried with yours and also i doesnt do anything too. I dont see much options in the Collada settings. The post was edited 1 time, last by XYZSPAIN ( Jun 9th 2018, 9:41pm ). Great work again, now i can get my silage wagon working Thx! Found a small mistake on the krampe so far: the front square alpha mesh is not completely working correctly on my pc. I get the Krampe on Modhoster. Use download with uploaded, for a little "Thank you". I also dont get, why it is uploaded at ModHoster. If I understand thinks correctly, he gets a bit back, when loading via "uploaded.net". The post was edited 1 time, last by XYZSPAIN ( Jun 13th 2018, 6:09pm ). Hi guys, have you seen with the last update, any mods don't work in game now, it's just me or somebody have same problems ? Most mods using fill volumes are broken I think. My flex weight and Vario pack work fine and they are not using fill volumes, do that's where the issues come from I think. hi guys ,the summer is over so you can start heating the room. The post was edited 1 time, last by XYZSPAIN ( Sep 27th 2018, 5:01pm ). Yes always a pleasure to see your work for the game ... Think others will join later, but @XYZSPAIN will always be the precursor ! We have one more modder! 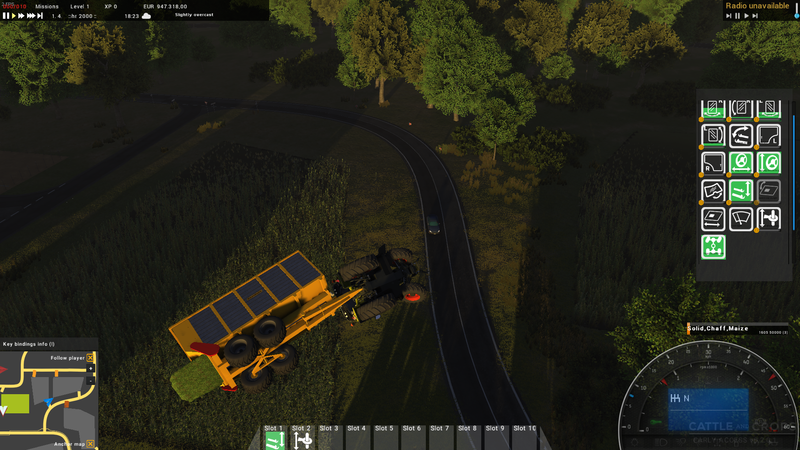 TheCoCe bring us the Claas weight. with the new update can open new possibilities but I have a question that I do not understand for a long time and now that I'm with a container holder model . The problem as seen in the photos if you can walk through a shape if you can leave an implement But the wheels can not go up why? Wheel collisions are a special case in this engine. The wheels are using a raycast to detect the hitpoint on the ground. These raycasts only hit terrain and static geometry at the moment. The game is not using the latest PhysX Version right now. Most recent Versions of it implement better Wheel collisions utilizing so called "sweeps". This means that the latest version will be implemented into CNC soon, so we can expect a few changes regarding wheels anyways. Let's hope wheel collisions with shapes will be one of them. 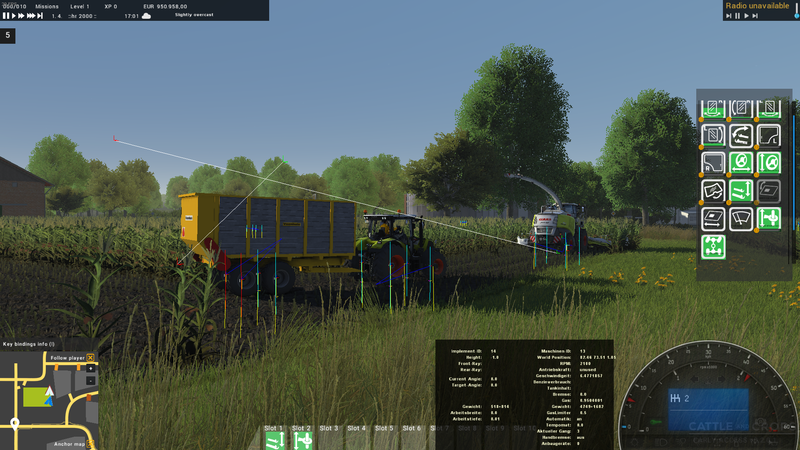 The d50 cutter ist a great Model. But i have a problem with the Enter Animation. The texture are white and it is only shown on one side. The post was edited 1 time, last by XYZSPAIN ( Oct 2nd 2018, 7:59pm ). The post was edited 1 time, last by XYZSPAIN ( Oct 3rd 2018, 8:43pm ).